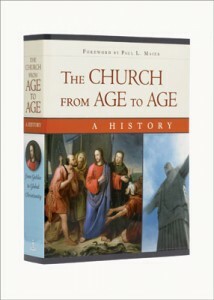 The Church from Age to Age examines key historic events from the time of the apostles through today. Informative and clearly written, readers of all ages will find the answers to the who, why, and how behind the current state of Christianity the world over. The following excerpt discusses some of the reforms that occurred in the Church as a result of Martin Luther’s teaching. Luther always stressed that matters of the spirit can never be forced on anyone. He pointed out that besides the fundamentals of religion, there were many marginal things concerning which man could make a choice. Images, ceremonies, symbols, vestments, festivals, fasts, and other outward customs could be useful in devotion, provided they were not worshiped or regarded as binding the conscience. The Christian was free with regard to them and only had to avoid offending his “weaker brother.” There was no iconoclasm in the Lutheran Reformation, and conservatism of this kind was to mark Luther’s views for the rest of his life. While changes came gradually, simplified rites and ceremonies were developed in the Lutheran Church. In 1523, Luther retained but translated the traditional order of Baptism. At this time, he abbreviated the exorcism and placed the Creed in a later position in the ceremony. He retained the exsufflation (blowing), the sign of the cross, the salt, the spittle on the finger in touching the ears and nose, the prayers before the church building, the holy oil, and the lighted candle. In 1526, however, Luther responded to some efforts at revision by others and to his own evangelical spirit, now more developed, and issued the German Order of Baptism Newly Revised. This was a major revision, not only in form but also in spirit. The Rite of Baptism, administered in the vernacular, was thoroughly abbreviated; all the complicated ceremonial items were deleted and some of the prayers changed. In this service, the sponsors renounced the devil and professed the articles of faith on behalf of the infant. Baptism was by triple immersion, a practice Luther strongly favored. However, pouring water over the head of the child was also practiced in the early Lutheran Church. Luther also retained the use of the white christening robe, which was placed over the naked infant immediately after it had been baptized by immersion. Like Roman Catholicism, the Lutheran Church permitted lay Baptism as valid in emergencies. Indeed, the Rite of Baptism was especially given to midwives. Since confirmation was considered a sacrament supplementing Baptism by the Roman Catholic Church, Luther at first was strongly opposed to such a rite and did not draw up a formula for confirmation. Children were admitted to Communion without it. However, by the time of his death, there were many theologians who advocated the use of an evangelical version of the ceremony. Many Lutheran districts practiced a private confirmation in which the young catechumen was brought by his sponsors to the pastor for examination. If the youth showed sufficient knowledge of Christian doctrine, he was admitted to Communion. Gradually, public confirmation became the general practice, but the actual rite was left up to the individual minister. From The Church from Age to Age: A History from Galilee to Global Christianity, pages 436–39 © 2011 Concordia Publishing House. All rights reserved. 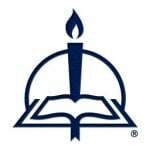 To order The Church from Age to Age, please contact CPH at 800-325-3040 or visit www.cph.org.